There are quite a few different factors that should be focused on in this chart, and being as busy as you are, you may only be able to focus on a few. Below is a list of what we think are the 5 most important areas to focus your time, to maximize your chances of SEO success. 1. Content Quality – The quality of your content plays a major role with how well your website ranks. The more useful & engaging users find your content (the most high-quality it is), the better the chances that your content will rank well on the major search engines. 2. Content Research – Knowing which keywords are most commonly searched and which keywords are most competitive is very important if you wish to achieve SEO success. Try to pick keywords that have a good payoff (lots of searches), but aren’t necessarily the most competitive keywords (easier to obtain). There is a useful keyword planner inside Google AdWords (which can be accessed by creating a free account) to help with your research. 3. Architecture Crawl – No matter how well your website is built or how SEO-friendly it is, it will never rank well if the search engines are unable to crawl it well. If you are having trouble getting your website fully indexed, make sure to submit a sitemap to Google Webmaster Tools, and also make sure you aren’t blocking the crawlers with your robots.txt file. 4. Link Quality – The quality of links pointing to your website is far more important than the overall number of links pointing to it. Some small businesses get so caught up in trying to get as many links as possible (linkbuilding) that they overlook whether they are quality links. Be sure to focus on quality, not quantity, when it comes to your linkbuilding strategies. 5. Trust Authority – Being seen as an expert in your field can go a long way with building your online trust authority. Try to only associate yourself with other sites that are trustworthy, and avoiding taking “shortcuts” (gaining spammy links from the comments section of hundreds of blogs or appearing to have paid for your links) with your SEO activities if you wish to keep in good standing with the major search engines. 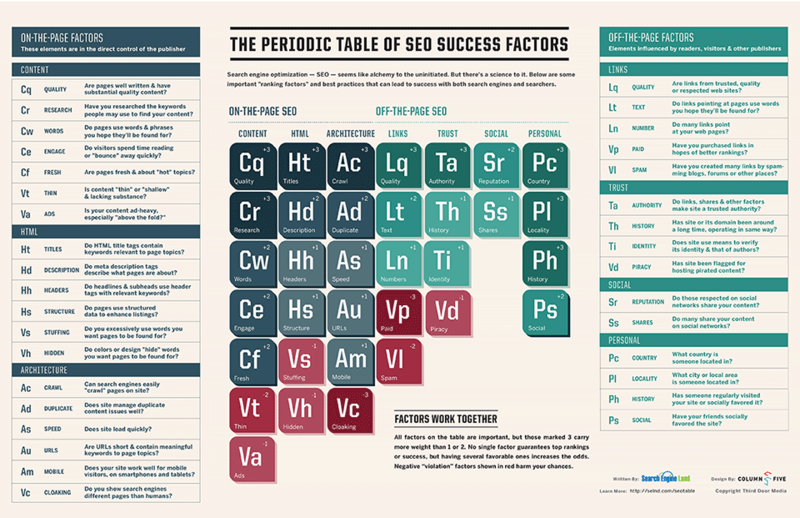 [Quick Tips] 5 Tips for SEO & Website Ranking Success!